The Nature Printables Library is no longer available. If you’d like to be notified when it’s available again, just sign up for my newsletter. 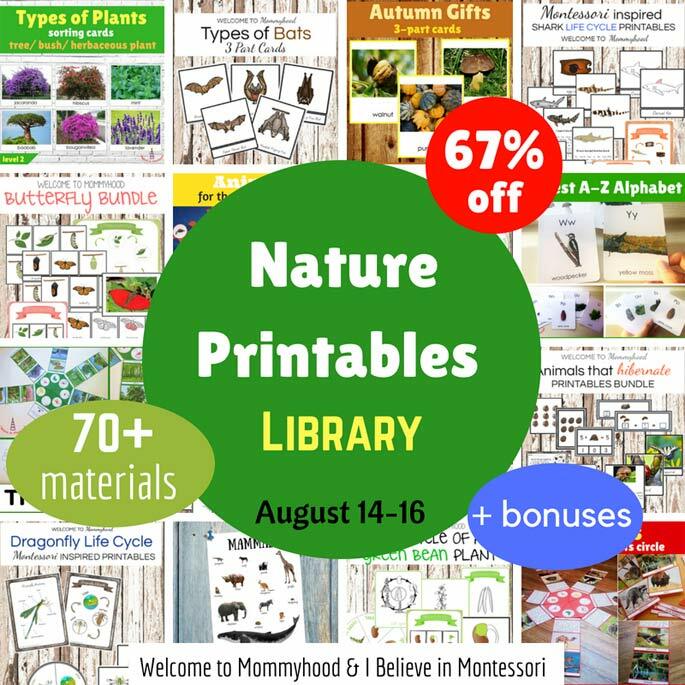 I’ll let you know as soon as there’s another Nature Printables Library sale. 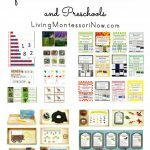 I’m thrilled to be sharing with you some amazing Montessori nature printables during their special sale at 67% off! 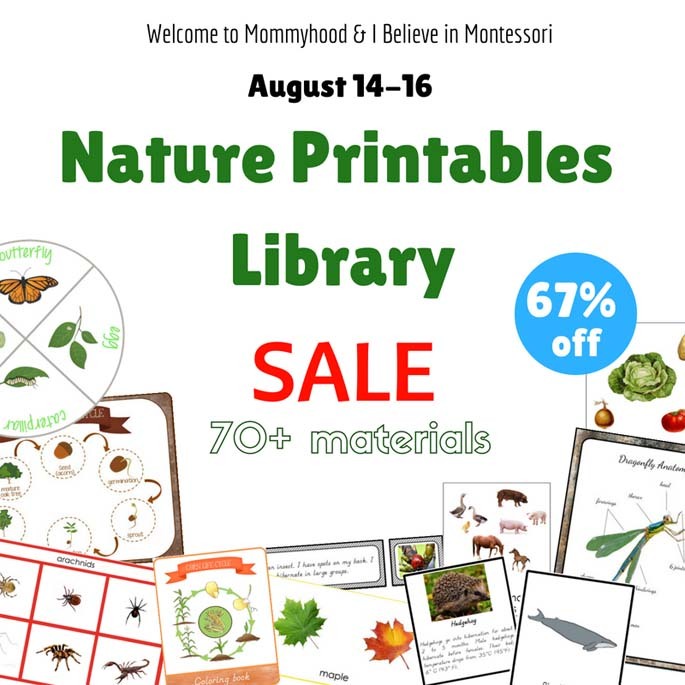 My friends, Yuliya from Welcome to Mommyhood and Katherine from I Believe in Montessori have an awesome Nature Printable Library that’s on sale only until this Thursday, August 16! And I was able to review some of the materials for you, too! Disclosure: This post contains affiliate links (at no cost to you). I was given the Animals of the Continents Circle, Various Plants of the Continents Circle, Trees of the Continents Circle, and Shrubs and Bushes of the Continents Circle along with the bundle’s bonuses. My opinions are honest and my own. This is a big work, and I think is perfect for collaboration. It would be great work for a group in a school. In a homeschool, it’s perfect for siblings who are able to work together on a project like this. Otherwise, the adult can do the work together with the child. That’s what I did in this activity with Zoey, my 4½-year-old granddaughter. Zoey and I had previously worked quite a bit on a variety of plant and animal activities. We studied animals of the continents in a number of different ways. 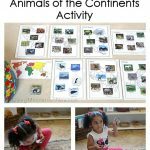 So I prepared a big project that would allow Zoey to both review and further her understanding of animals and plants around the world. I prepared the activities in the easiest way possible. I often do that for homeschooling. 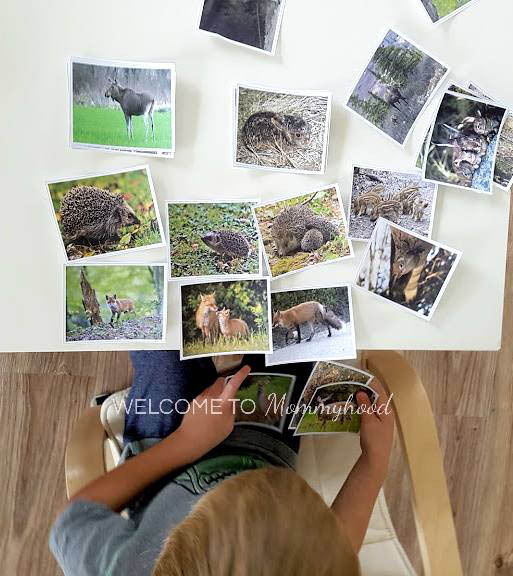 While I always laminated printables as a Montessori teacher, I only laminate materials as a homeschooler for toddlers (who need the materials to be extra strong) and materials I know will be used very often. So I just needed to print out and cut out the materials. 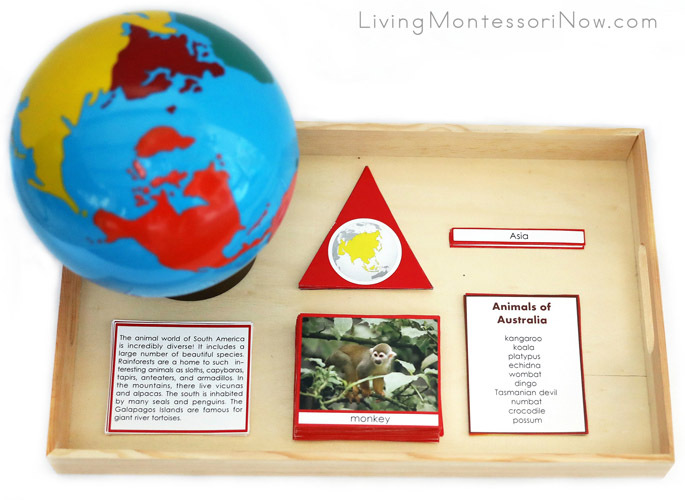 I placed them in groups on a Multicraft tray and added our Montessori continents globe as way to integrate our previous continents work. Note: For a school or for younger children, it’s important to add colored control dots to the back of each card or another control of error for children to check their work. We just used the names on the control cards as the check. 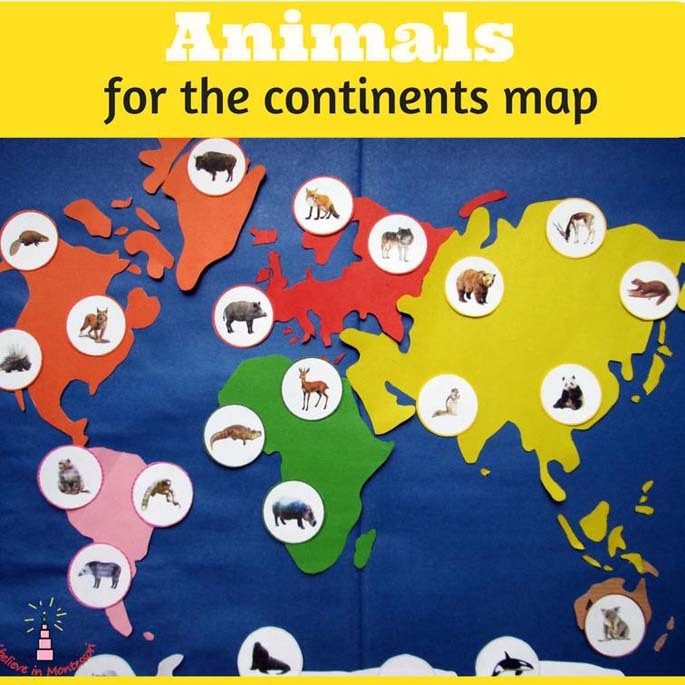 There are 10 animals for each continent, which creates a huge layout on the floor that’s very appealing to young children. The cards have high-quality images, and the whole activity is very aesthetically appealing. Note: This material is very adaptable. 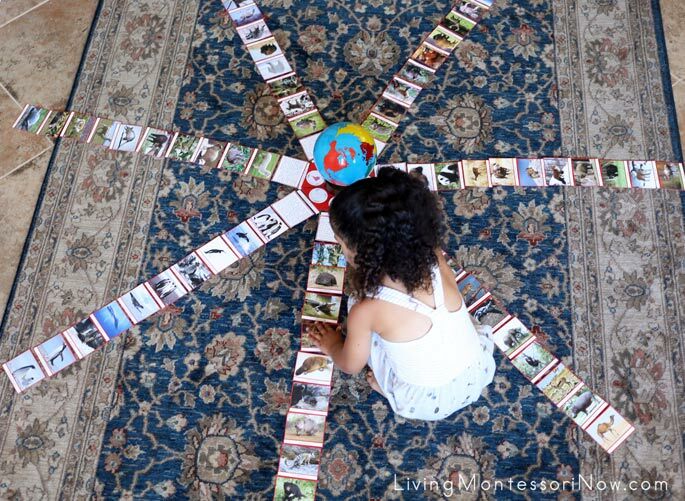 For younger children, you could just introduce 2-4 of the animal cards for each continent. You could also add Safari Ltd. TOOB figures to match the animal cards. You can find out which TOOBS have which animals (and get free TOOB keys) here. After completing the animals of the continents circle, we worked with the plants of the continents. 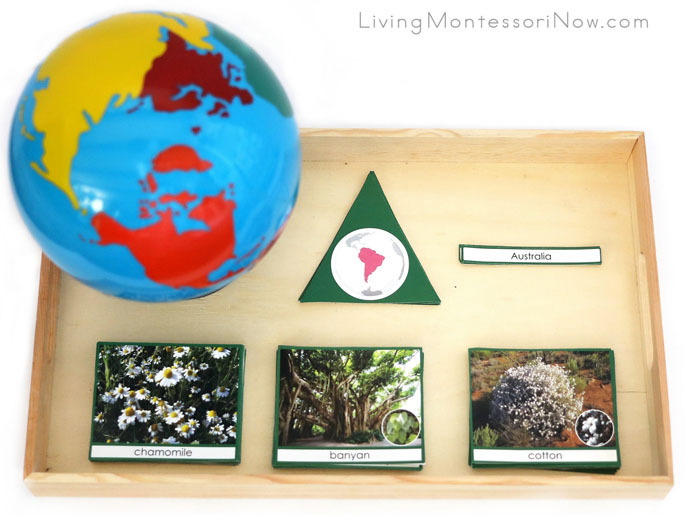 To make this a very big work, I put three printables together for the activity: Various Plants of the Continents Circle, Trees of the Continents Circle, and Shrubs and Bushes of the Continents Circle. Of course, you would normally do these individually, at least at first. 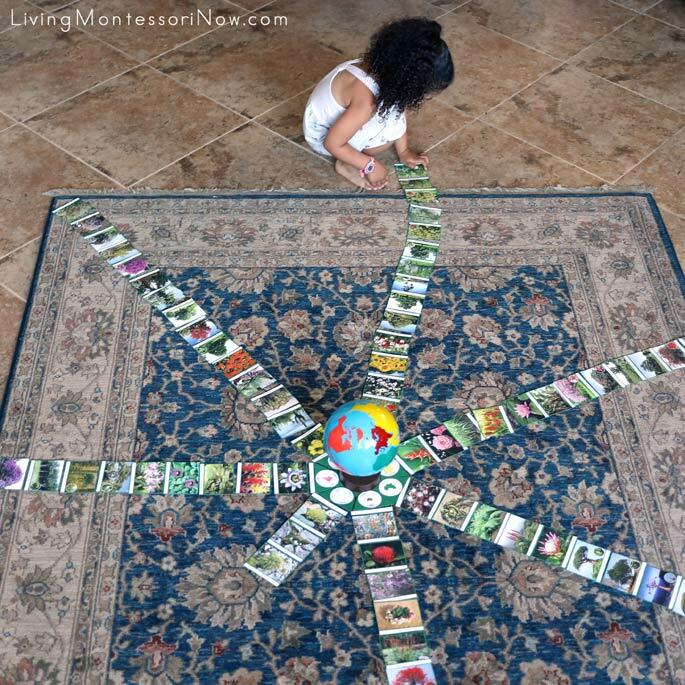 There are five of each type of card per continent (except Antarctica, which only has 3 types of plants). This was an especially big layout, and it almost didn’t fit on our floor! It was very interesting to see the variety of plants from each continent. Of course, I learned some new facts, too! 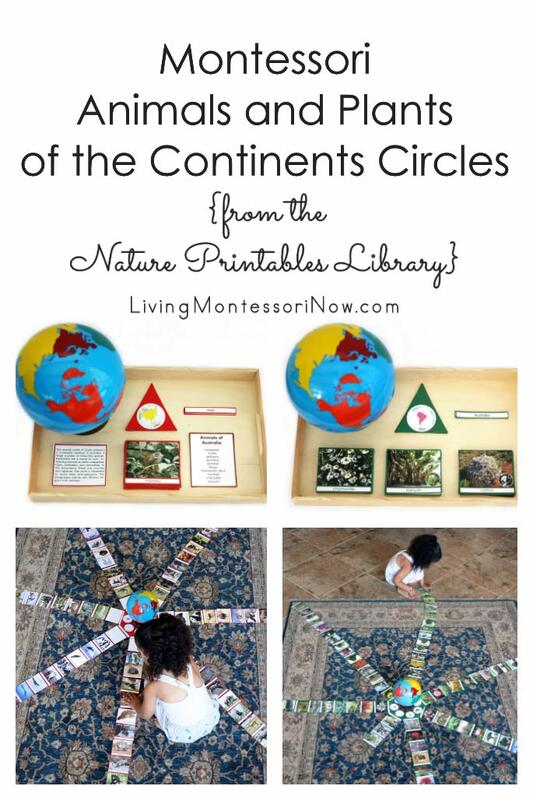 The continent circle printables are simply amazing! – What is this bundle? “Nature Printables Library” is an organized collection of educational materials for teaching children about the natural world. The materials are carefully prepared and chosen so you can use them during the whole year. It includes more than 70 printables. The whole bundle is divided into 3 sections: zoology, botany, and various materials about nature. – How many pages does this bundle contain? – What age is it appropriate for? – What areas of learning does it showcase? The bundle includes materials that you can put on your language, cosmic and math shelves. The materials cover different areas – language, alphabet, colors, shapes, numbers, handwriting and more but all of this in connection with nature. We are offering this bundle for $69 instead of the full price of over $200! Awesome, isn’t it?! – When is it available? – Maybe I will benefit more if buy the materials separately? We made the pack affordable to give an opportunity to more educators to use our materials and to make more children happy. We are offering the bundle at a special discounted rate of 67% off regular price. – Can I look at the contents closely? Sure! Take look at the full list or check out the preview. – What bonuses do I receive? I am excited! 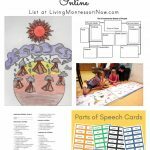 There are 11 special printables that you will find useful during this season, back to school and around the year. 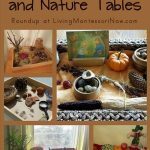 – Are all of the materials appropriate for use in Montessori spaces? 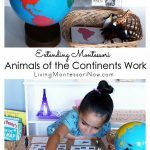 – But if I don’t use the Montessori method can I still use these materials? Of course! Any child in any space can use them. You don’t need to be a Montessori teacher to use them. – How is this bundle different? We made it with Montessorians, teachers and parents in mind. We know how order and time is important for you and we tried to use this principle while creating this bundle. We organized everything nicely to help you to use and navigate the bundle easily. We have carefully chosen the materials that exactly fit the topic and that appeal to little nature explorers. There are exactly the materials that you need for your full year curriculum. – What if I need only one part from the bundle? I am interested in the zoology one. Only the full bundle is available. – Can I get this next month? No, this is a temporary bundle only. Once it’s gone, it’s gone! 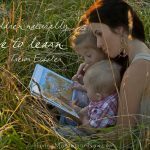 – I homeschool my children. Is this a product I can use? This is perfect for you! We designed this bundle to specifically cater to the needs of educators, whether they teach at school or at home. We know that you are busy, that you have a lot juggle, and that your children’s education is so precious. We wanted to create an organized, beautiful, and useful product. We want you to have more time. More time to engage meaningfully with your students, more time to do things you love. There’s no need to search for your nature materials. Everything is organized neatly and is tidy. You can find your digital files easily! Additionally, you can print our table of contents to use for reference for your records. – how do I receive the bundle after the payment? You will be taken to a page to download the zip files after purchase. You will have 60 days after purchase to download the files. If you have not downloaded the files by the end of the sale on August 16, you will still be able to access them. These are fabulous! There are lots of great printables in the bonuses alone for fall work (and year-round phonics work) for a variety of ages! Go here to learn more and get your bundle before the sale ends on August 16! You can also get a free downloadable preview and purchase your bundle here.